Cape Cod dormers add a touch of Colonial New England to an already classic roof line. The extra windows sure brighten up the inside. 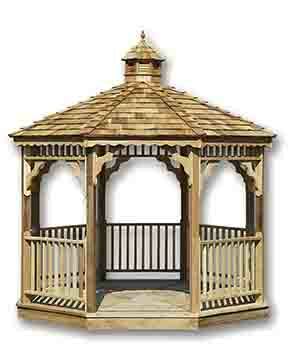 With a workbench option added, these Garden Sheds make great Potting Sheds. 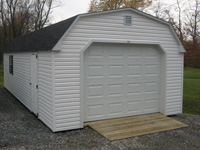 Cape Cod Storage Sheds include two windows, a double door, and two dormers with windows. 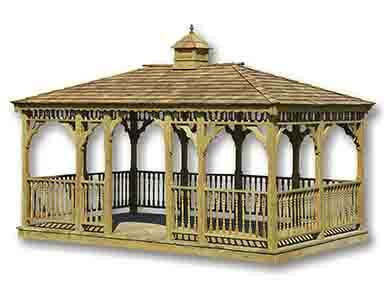 Below are some popular shed sizes with prices. Gravel Shed foundation is not included. 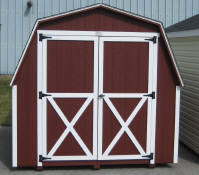 Purchase Shed and Foundation together in our Top-to-Bottom Package and receive an extended warranty. 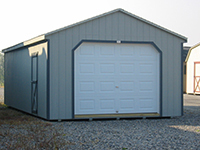 Come visit our shed manufacturing facility. 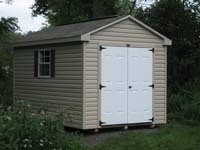 We'll help you configure your "perfect-fit" storage shed.